So sorry for the long delay in writing. I've been here, but my thoughts have been elsewhere... bottled up obsessing over our next move, to who knows where, when our lease expires in April. That and the enormous task of trying to pare down on possessions in hopes of making the move more tolerable and less cumbersome, has me somewhat immobile and totally unmotivated. And it's not like I haven't been here before, facing a move or decluttering tons of stuff from my life. It's just that this perpetual cycle: acquire, attach, and accumulate, has a life of its own. Oh, so many rooms and drawers! So many objects and each with its own story. Most shouting, "Keep!" others murmuring, "donate"... while a few sit silently avoiding the word 'toss' entirely. "99 bottles of beer on the wall, 99 bottles of beer! If one of those bottles should happen to fall, 98 bottles of beer on the wall," on and on down to zero... after opening a kitchen cabinet and finding these buried behind some small appliances. 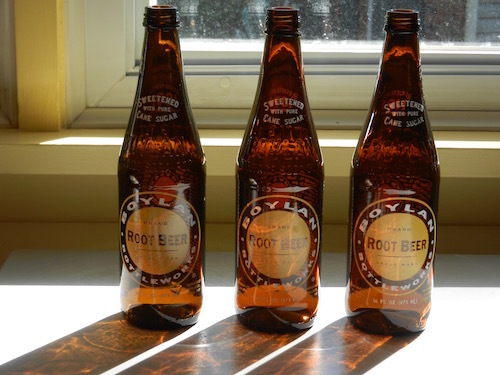 Bottles and bottles of Root beer! And I don't even drink soda!... not in the last 10 years anyway. Bothered by what else might still be hidden, I dump the sugary liquid down the drain, rinse, then toss the 'empties' into the recycling bin... and call it a day. 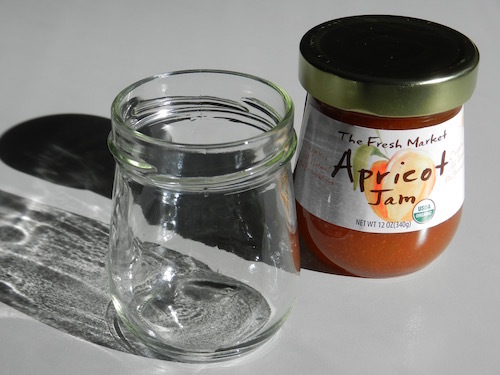 Maybe today, I'll tackle the one known to be full of glassware: bottles chosen for their interesting shapes and sizes, for storage, to contain flowers, and these 8 oz. 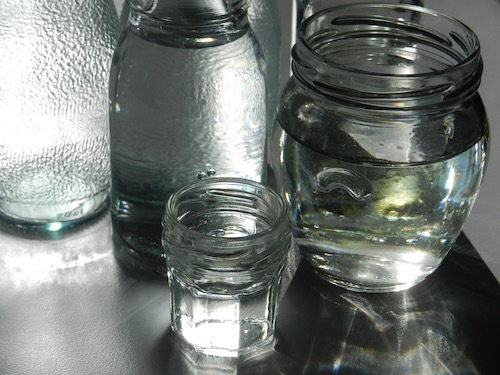 jam jars with labels removed, that make cute drinking glasses. But instead, I get sidetracked. This time, by books... piled high and wide, most read and some like this one, waiting to be read... Requiem for a Paper Bag: Celebrities & Civilians Tell Stories of the Best Lost, Tossed & Found items from Around the World, edited by Davy Rothbart of Found Magazine. Intrigued, I flip open the paperback to a random page and land on an essay by Tad Friend titled, "Message in 1,000 Bottles." I kid you not! "Seven years ago, my wife and I moved into a brownstone apartment in Brooklyn. Roughly three times a week, I'd find a white or green plastic bag filled with bottles that someone hung over the black fence in front of our building during the night. ... They'd leave the bottles dangling there and I'd take them out and add them to our recycling bin. No other bags were left on anyone else's fence. ... This has gone on for nearly seven years now, and I've never figured out who's leaving the bottles. ... The weirdest part is that I've left the bag there to see what happens, and the mystery person always waits until I've taken down the bag before he or she adds another. ... Even when we leave town for a week or more, we return home to a single bag on the fence, never an accumulation. I imagine that while we're gone, the person is sadly disappointed to see that I haven't been keeping up with my job of taking the bag off the fence. ... It's like the bottles are being placed there not by a person at all but by a mischievous universal force. ...Taking the bag down on my way to work is annoying, but I'll admit there's something delightful about it too. ... There's a strange pleasure in the appearance of each new bag---it's like a Rorschach inkblot, where you can read into it what you like. If there was a little note attached to the bag saying, I'm Bob; we don't have a recycling bin. Can you please recycle these? You would probably answer him, Dear Bob, no, or Dear Bob, okay, and that would be the end of it. 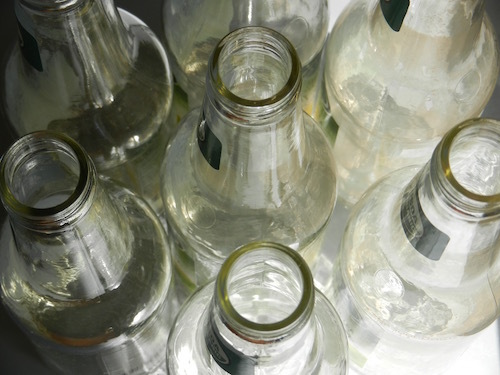 But the idea that there's an inscrutable message in these thousands of bottles--- left without a return address, written in gnomic and invisible language you can't understand---is what enables you to dream." Then later that evening before going to bed and entering my own world of dreams, my husband and I watch a movie on DVD: the third part of a trilogy, a Danish crime thriller, called 'Department Q'. Having seen the first two parts earlier in the week, tonight's final installment: A Conspiracy of Faith (to my disbelief) opens with a scene of a bottle bobbing in an ocean and the episode title, "Message in a Bottle"... with my take on the storyline being: "When an 8-year-old message in a bottle, written in blood, washes ashore, detectives open the cold case and begin searching for a killer." A good bedtime story, I know. But why these two odd bottle connections? Make that three... for it's now morning and I'm on the computer when I come across several images from a series called, "Jarred & Displaced," by photographer Christoffer Relander. For the past three years, Relander has been revisiting his childhood environments in Finland to capture them and create a collection. 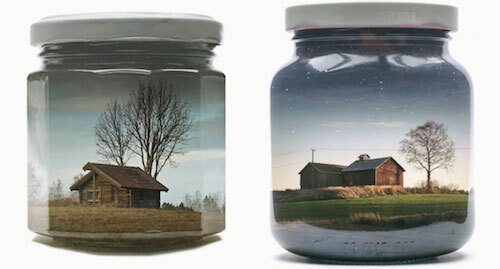 While the containers for the environments come from used jar bottles, the images are not put into these physical jars, but instead are blended into one photograph through use of double exposures shot in the camera, without using any external software, like Photoshop. Well there you have it... a good picture, I hope, of where I've been and what I have or haven't been up to... except for the unexplained mystery surrounding the occurrence of bottles. Perhaps it's as Tad Friend expressed in his essay (Messages in 1,000 Bottles) that it's not a person, but a 'mischievous universal force' that's responsible, or in my case, a benevolent one who has masterfully found a way to provide levity, inspiration and motivation to what I perceived as a hopeless situation... to which I am thankful. So much still to do here, but at least I've started doing something... purging a few things, taking a few photographs, and finally... writing this post!!! 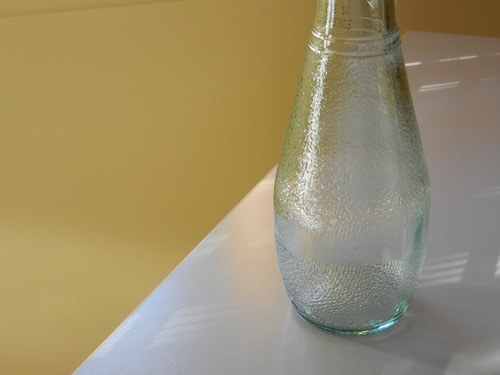 "10 Message in Bottle Stories" here. 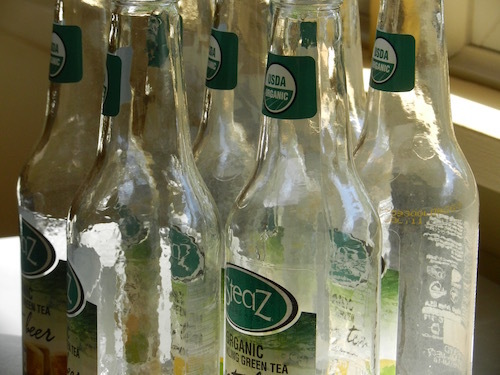 Video: "How This Guy Found 83 Messages in Bottles" here. Video: "Meet Elmer Long and his Bottle Tree Ranch here. 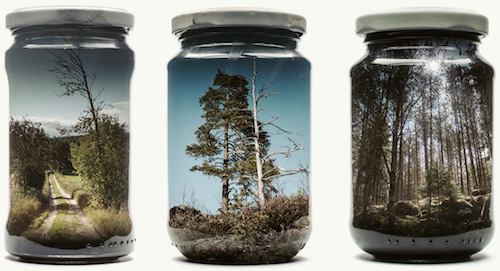 View more of Christoffer Relander's "Jarred & Displaced" images here and how his photographs are made here. Listen to "Message in a Bottle" sung by a young Sting here and a more mature Sting here. A special thanks to: my Benevolent Universe and also my friend Bradford Richardson, a super creative individial and writer whose mere mention of the words "road trip" triggered a chain reaction. Specifically, he said, "Motivation is one of those illusive things. Creative brains need a really good 'why should I'? Take your brain someplace new. Ooh, a road trip." And immediately I became that passenger listening to "99 Bottles of Beer on the Wall" being sung. Eerie story by Tad Friend. Also a strange coincidence that the last of the 3 shows you watched contained a bottle. I enjoyed your pictures of the bottles. Purging possessions can make for difficult choices but once done, it feels good to "lighten the load". It's a task that is easily put off for another day though. So sorry for the reason you have to do this.